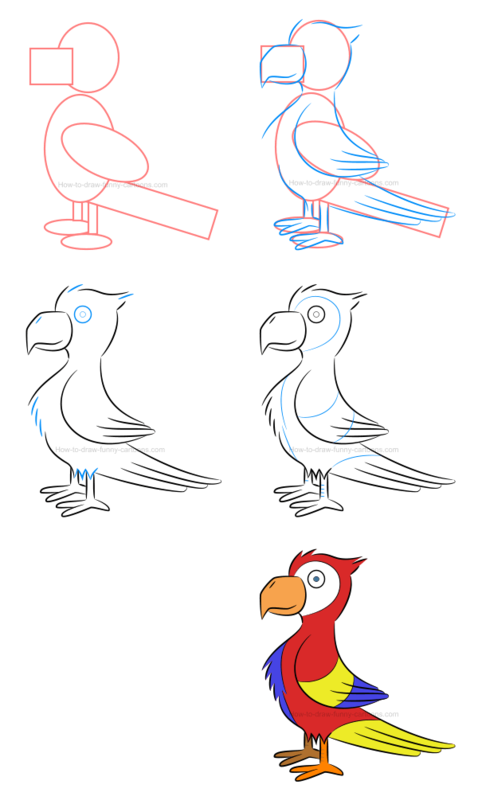 Learn how to create a cute illustration of a parrot and then see a few alternatives to help you decide which colors are more appropriated for the cartoon character. If you like working with beautiful colors and patterns, then this drawing tutorial is definitely for you. 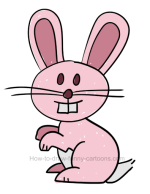 I will show you how to illustrate this fun animal using basic shapes and simple lines. Once this lesson is done, we will proceed to the second part on how to work with colors. 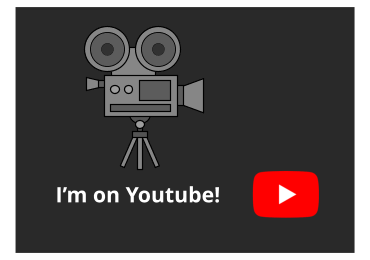 First, let's just take a few moments to carefully study the character just to make sure you know who you are dealing with! 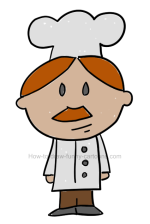 You can use the image above as a reference. Inside the beak, a small line is drawn to create the nose of the parrot. Some hair is visible on top of the head. More hair can also be added behind the head of the animal. Eyes and pupils are created from small circles. A large patch is drawn around the eye and near the beak. Wings are large and mostly made from long curved lines. Don't forget to add different colors inside these wings. The tail is also colored differently as shown above. Legs and feet are large and robust. Some hair can be sketched near the junction of the body and the legs. 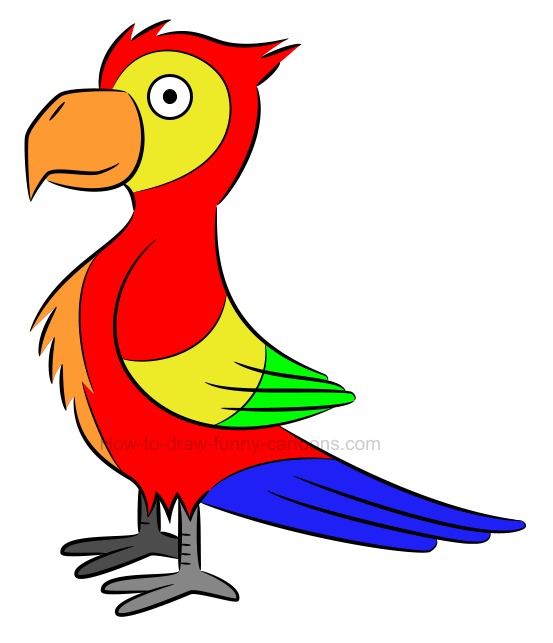 A different color is added on the chest of the parrot. The beak is sharp and pointed near the end. Nice! 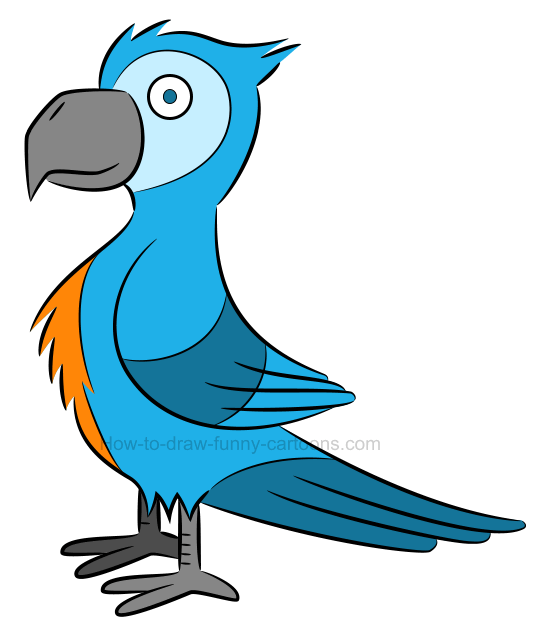 Happy to see that you spent some time learning more about this fun illustration of a parrot. 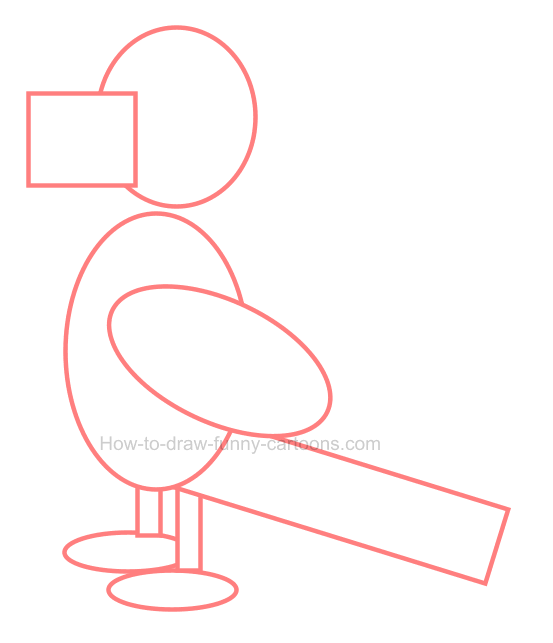 Let's proceed to the first step of the drawing lesson by adding a few basic shapes. It's a very good practice to sketched a few basic shapes to help us figure out what the character will look like before adding lines. These guidelines are also helpful for adding accurate proportions. First, let's sketch the head using a small circular shape. The beak is made from a solid square. The body, wings and feet are done using oval shapes. 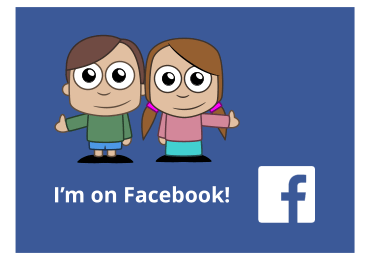 Finally, the tail and the legs are represented by rectangles. 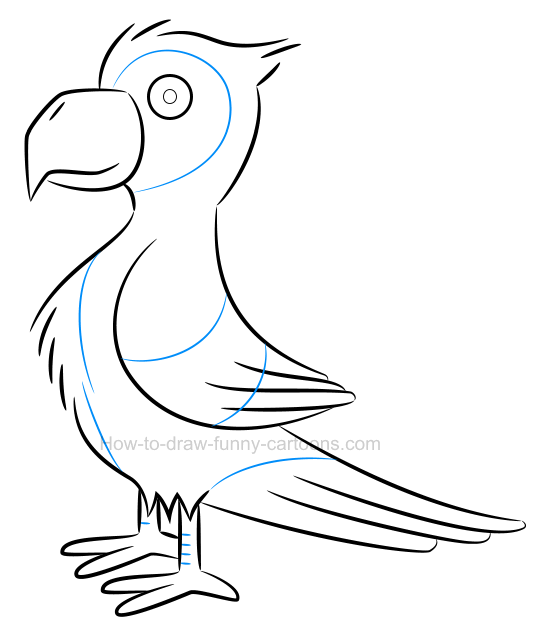 step 2 - It's time to draw the cartoon parrot! 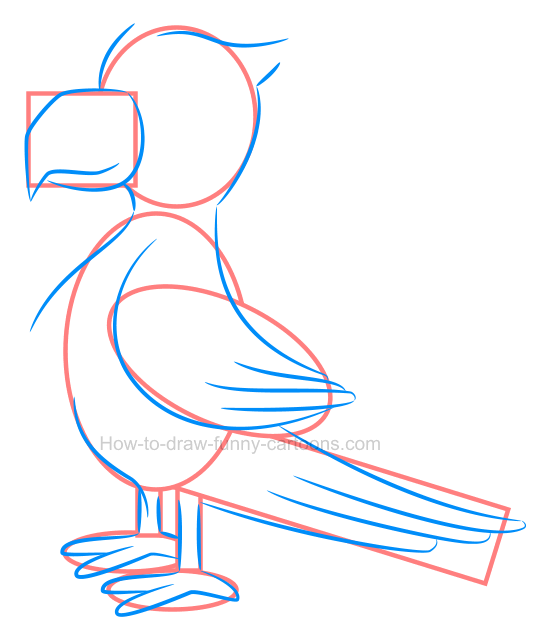 Using mostly long curved lines and small broken ones, you can now draw the parrot as shown in the image below. Remember to create some hair on top of the head and near the chest. The tip of the wing and the tail are done from small curved lines. Feet are large, smooth and strong. 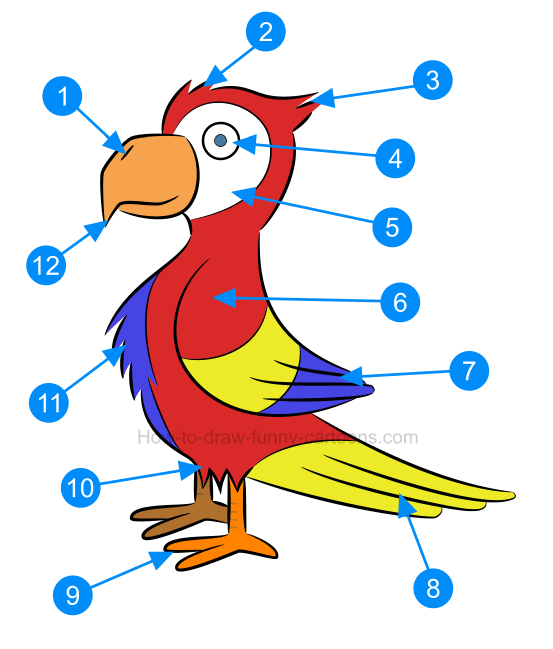 Finally, study the beak carefully to make sure you are illustrating this part of the body accurately. Inside the head, sketch the eye and the pupil using small circular shapes. 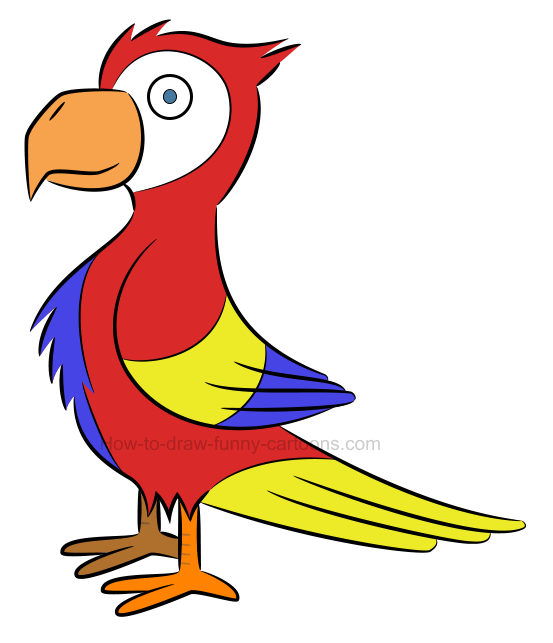 You can also draw some hair on top of the head, near the back of the head and on the chest of the cartoon parrot. More hair are added above the legs. Good work! This illustration of a parrot is almost completed now! 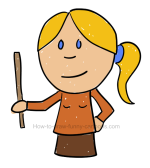 Around the eye and near the beak, sketch a long curved line to create a simple patch. You can also draw long curved lines on the chest, the wing and the tail of the animal. Smaller lines are also added on the legs to create a little bit of texture. Cool! 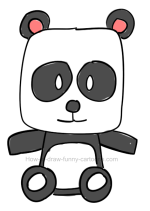 Only color is missing inside this adorable character! step 5 - Let's add colors! 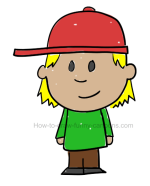 In this original version, the body and head are filled with a bright red color. The chest is colored in blue, just like the tip of the wing. The upper part of the wing and the tail are filled with a bright yellow color. Finally, the beak and the legs are colored in orange. The patch located around the eye can stay white. 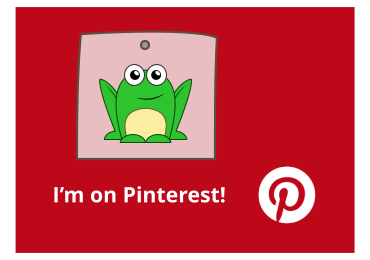 Only five steps were needed to create this cool animal! 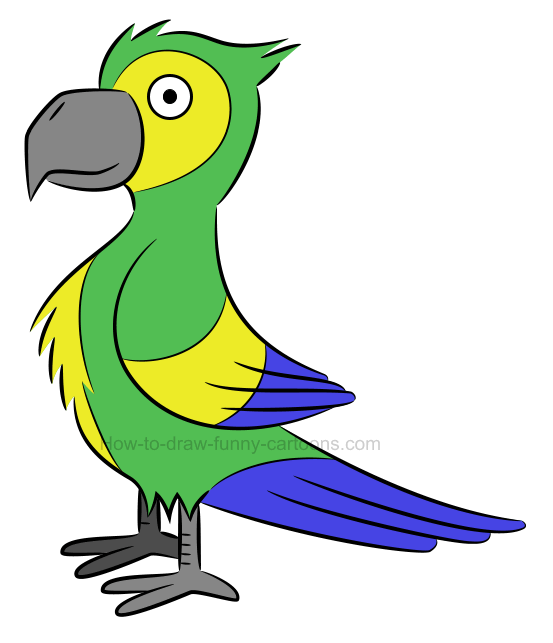 In this first attempt, this illustration of a parrot is mostly filled with green, blue and yellow colors. Unlike the previous one, this time the patch around the eye is filled with a color used somewhere else. 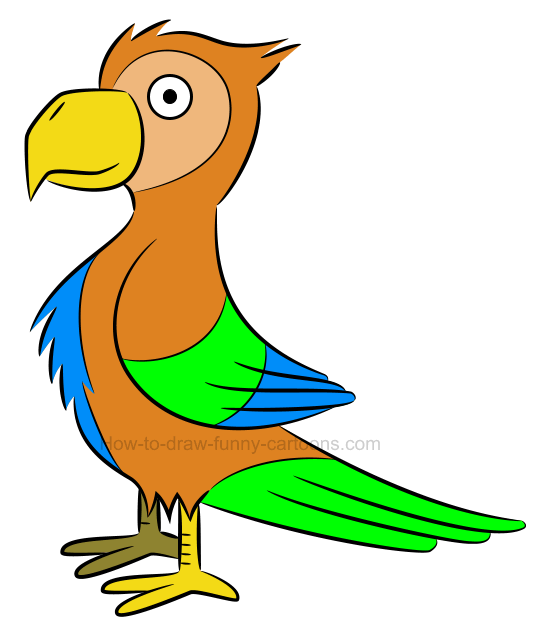 The beak and the legs are also grey (while the previous animal had a beak and feet colored in orange). This is a good option if you want to draw a classic cartoon parrot. 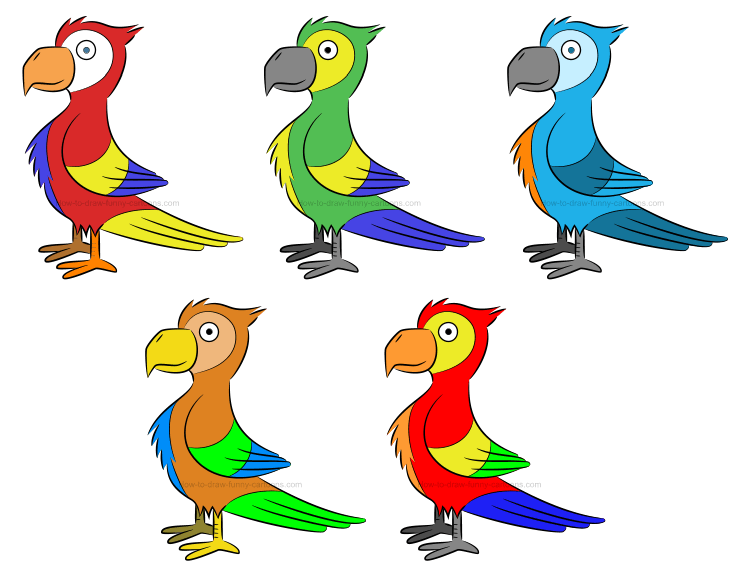 In this second variation, you can see that the parrot is filled with three different blue colors. The body is bright while the patch around the eye is lighter and the wing and the tail are darker. For the first time, only two colors are visible inside the wing (while previous versions were filled with three different colors). Interesting if you want a more subtle character. This version of our illustration of a parrot is filled with warm colors that are less-saturated and visually more appealing. The beak and the feet are now yellow while the wing and tail are colored in green. This is not a conventional parrot, but it's still visually readable and fun to look at (which is good! ).